Electronic health records (EHRs) at one point represented the gold standard for managing patient data and the patient experience. But by today’s standards, EHRs feel clunky and outdated. Significant advances in cloud-based Customer Relationship Management (CRM) software have laid bare the shortcomings of EHRs. In fact, EHRs were designed as transaction-based systems of record and were not designed for patient engagement. Thus, EHRs provide comparatively few insights into who a patient is, what services they need, the best way to communicate with your patients, and how to provide them with the services they need. 1. Put patient care first: EHRs were designed to solve a long-standing pain point for administrators of healthcare facilities: the cumbersome task of capturing charges accurately and rapidly so invoices can be generated and payers billed. In fact, one of the main reasons EHRs have been embraced wholeheartedly is that they made it more cost-effective and efficient to manage finances. By contrast, Salesforce Health Cloud is entirely about improving patient care; billing functions are secondary. By taking the best features from Salesforce’s CRM software and supplying data from EHRs, Health Cloud ensures you can put your focus to your patients first, without compromising billing. 2. Extract more comprehensive and insightful data from your EHRs: EHRs were designed to capture the annotations, notes, and medical data generated by a patient’s physician or another healthcare provider. Data added to a patient’s EHR is dependent on what individual healthcare providers decide and remember to add to it. Unfortunately, the types of information that get added—and the amount of detail that gets added—are not consistent. Health Cloud automates the process of attaching important data like blood glucose monitors to the EHR. Health Cloud also makes attaching appointments, preferred communications methods, and current medications easier. Healthcare providers can take advantage of this wealth of data to extract more comprehensive, meaningful insights. 3. Patients will be able to access and control their own data: Even decades after the introduction of EHRs, patients continue to encounter significant hurdles in getting access to their own healthcare records. A 2018 study by Yale University found that 47% of major U.S. hospitals do not state on records request forms how patients can acquire their full medical records. Salesforce Health Cloud makes it easy for healthcare organizations to grant patients instant, real-time access to their records. By leveraging the Salesforce Community Cloud platform, organizations can provide Health Cloud login access on a system that is HIPAA-compliant. Information is displayed on a user-friendly dashboard, and tasks and goals can be marked as complete. Additionally, any member of a patient’s healthcare team can send HIPAA-compliant messages to the patient; the messaging system even features an intuitive name-tagging feature that uses the @ symbol (just like Twitter!). 4. 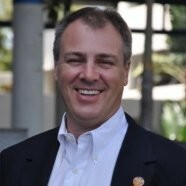 Connect and integrate multiple sources of records: Healthcare providers and payers have traditionally maintained their own, disconnected systems of record. Thus, healthcare providers do not even necessarily have the infrastructure to enable a third party to connect to a patient’s EHR directly, and any reconciliation must be done manually. A recent peer-reviewed study found that 25% to 50% of referring primary-care physicians don’t even know whether their patients actually see the specialist. 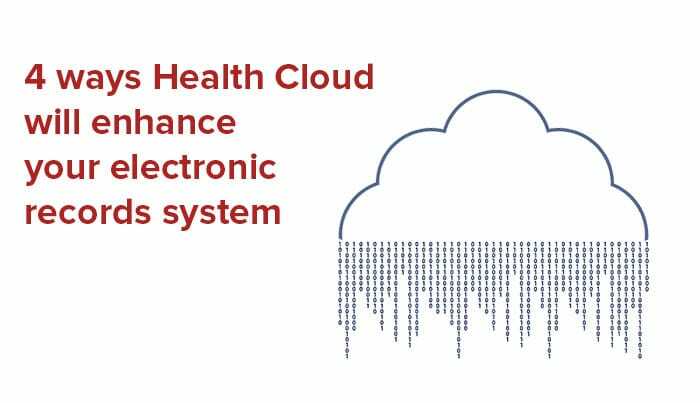 Health Cloud automatically connects, reconciles, and integrates records from multiple EHR sources, ensuring that records are complete and comprehensive enough to drive the highest-quality patient outcomes. Salesforce Health Cloud is designed as a powerful complement to your EHR system. When you use Health Cloud, you’ll be able to put patient care first and billing second, extract more comprehensive insights from your EHRs, give your patients a user-friendly way to access and control their data, and connect and integrate multiple data sources to drive your patient experience. To learn more about supercharging your EHR system with Salesforce Health Cloud, please reach out to the Salesforce implementation specialists at Simplus. We’ll show you how to keep the focus of your record-keeping efforts on your patients.